Sears expert technicians provide garage door installation, repair, and replacement in a timely manner. Our experts are highly trained and can resolve any problem so that your garage doors will function properly again. Ask us about our warranties, which are some of the strongest in the industry and our special financing offers. Give us a call at (718) 968-8800. At Sears Garage Solutions, our expert technicians pride themselves in installing whatever is necessary to get your garage doors correctly operating. Highly trained in all areas of garage door installations, Sears associates will discuss the process, costs, and the garage door styles offered. Whether your garage doors have broken springs, a malfunctioning opener, or need replacing, Sears trained technicians are skilled and will expertly replace them. Don't forget to ask about our special financing and warranties. Tired of your garage doors malfunctioning? Sears's trained technicians can repair them quickly and professionally. From broken springs, to bad sensors, our technicians will diagnose it and have them working properly again. Have you just come home to a broken garage door opener? Sears technicians can repair and or replace your opener with one that is durable, long lasting, and operates smoothly. We guarantee your satisfaction. Experiencing any mechanical or electrical issues with your garage system? Be careful, no one out there suggests to attempt repairing them with no training. Our service call will cover any work needed, on the spot. 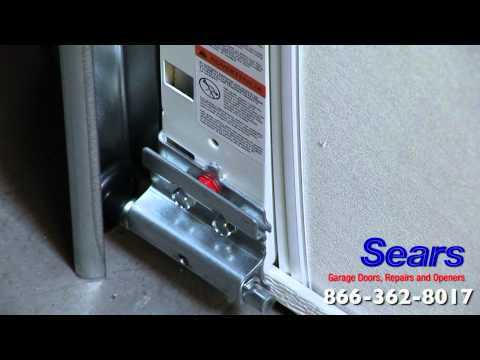 Allow a Sears professional technician to handle it with confidence that we will supply & install anything having to do with any mechanical garage door and/or any electrical garage door opener. Every tech has an inventory of parts and openers on his truck and they will be able to complete any residential work necessary, same day -- backed by our part & labor warranty. Additionally, ask about our seasonal specials we have on springs, openers or any other hardware for your garage system, today! Sears offers a variety of different types garage door builds & styles to fit your installation needs, at competitive prices that come with confident warranty lifetimes. Our product line includes Traditional Steel, Traditional Plus, Traditional Max, Steel Carriage House, Premier Steel Carriage House and Wood Carriage House garage doors. Each has a variety of styles and options available so you can create the perfect garage door. We are also your residential garage door installation and repair specialists who can service most makes & models of garage doors and openers. 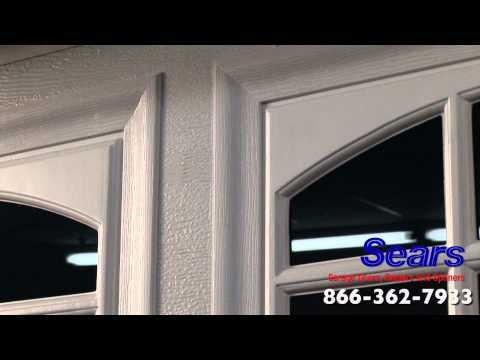 Whether your project consists of replacing into a new door, repairing an old opener or remodeling the whole system, Sears has the solution for you. Explore the differences from our top of the line residential garage doors in the classic traditional style to what we have to offer and why our doors are the strongest on the market. Your color, your design, your build, we'll craft it and install it masterfully. Go to SearsGarageDoors.com to customize your new garage door and retrieve a free estimate on pricing, lead time & warranty information, today.